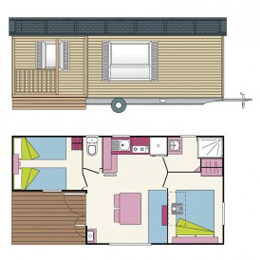 Spacious centre style mobile home, 1 double + 2 twin bedrooms. Large shower cubicle + washbasin; separate WC. Fully equipped kitchen with convection oven, microwave oven & full size fridge-freezer. 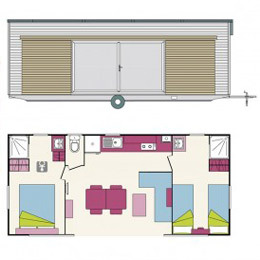 Our mobile homes on Vilanova Park have energy efficient technology that provides air-conditioning in the summer and supplementary heating in the winter. Satellite TV with a DVD/CD player are also included. 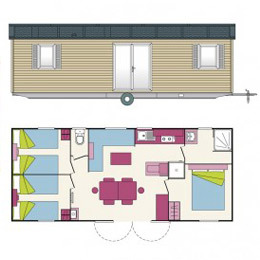 Residence Mobile homes are also available at La Garangeoire, Vendee. 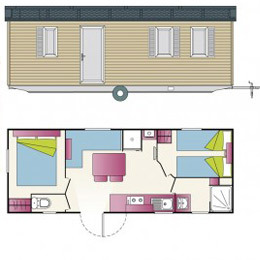 Spacious mobile home, 1 double + 1 twin bedrooms + make up double bed in lounge. Large shower cubicle + washbasin; separate WC. Fully equipped kitchen, microwave oven & full size fridge-freezer. Our mobile homes on Marjal Costa Blanca have energy efficient technology that provides air-conditioning in the summer and supplementary heating in the winter. Satellite TV with a DVD/CD player are also included. 1 double + 2 twin bedrooms. Large shower cubicle & washbasin; separate WC. Energy efficient technology provides air-conditioning in summer and supplementary heating in winter (Vilanova Park and La Torre Del Sol mobile homes only). 1 double bedroom + 1 twin bedroom (a third bed is fitted to some mobile homes in this bedroom) & make-up double bed in the lounge area. Shower & washbasin; separate WC. 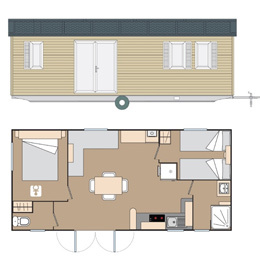 The Classique mobile home is available on many of our sites including Le Ruisseau. Double bedroom + twin bedroom + make up bed in the lounge area. Shower & washbasin in both bedrooms; separate WC. At Vilanova Park satelite TV, aircon and decking included. 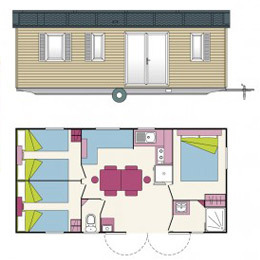 Centre lounge ‘cottage style’ mobile home, double bedroom + twin bedroom + make up bed in the lounge area. Shower & washbasin; separate WC. Integral terrace.